For the European market, the road compliant conversion process for the BT62 will take place in the UK and costs £150,000 in addition to the list price of the car. It will be handled by Brabham Automotive ahead of registration. A similar process is being undertaken in Australia and Brabham Automotive will aim to fulfill requests for a similar conversion in other jurisdictions. Each BT62 with this option selected will be put through the DVSA (Driver and Vehicle Standards Agency) IVA (Individual Vehicle Approval) test. This test ensures it has been designed and constructed to meet and achieve all regulatory and legal standards to see the BT62 on the open road. In addition to the regulatory requirements, specification changes will also be made to make the vehicle more usable on the road. This includes raising the ride height with a front and rear axle lift kit, increasing the steering lock range, adding air conditioning, fitting door locks and immobilisers, and including additional high-quality upholstery in the interior. The objective was to make the car legal, safe and usable on the road with minimal compromise to its race-bred circuit dynamics. Whilst there will be a slight increase in weight there will be no reduction in power, retaining the 700bhp power output. 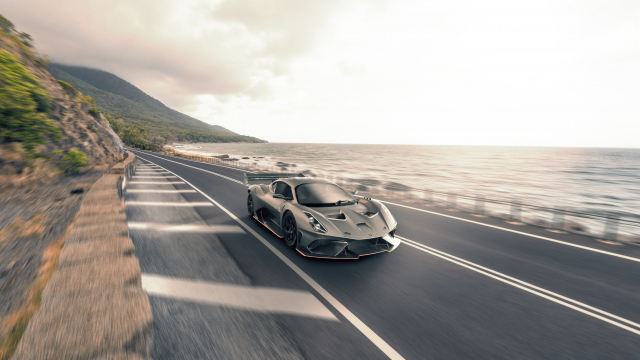 The first road-compliant BT62 is expected to be delivered in summer 2019. Brabham Automotive will be making further announcements about its future plans both on and off the race track at the Autosport International show on Thursday 10th January.